A Memorial Service will be held on Saturday, April 20, 2019 at 10:00 am at Springfield Funeral Home, 2020 Springfield Road, Kelowna, B.C. In lieu of flowers, memorial donations may be made to the Canadian Mental Health Association,www.cmha.ca or Heart and Stroke Foundation of Canada, www.heartandstroke.ca. 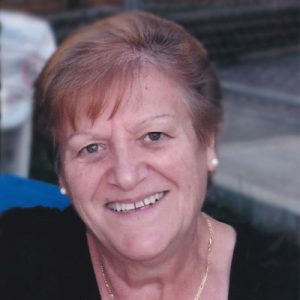 The service for GORJANC, Amelia is scheduled for Saturday, April 20, 2019 at 10:00 am . Below you will find the map for the service location and the contact information should you have any questions. Amelia was a beautiful soul who brought joy to everyone around her. She had an easy smile and a wonderful sense of humour. I know that she loved her family and cared about her friends. My mom always spoke of her with great affection. It was an honour to have known Amelia. I will never forget her. So sorry for you loss , Your Mom was a beautiful lady and will be miss by all that knew her . I am saddened by the passing of Amelia and want to express my heartfelt condolences to her family. I was Amelias’s nurse frequently when she was admitted to our unit. She was definitely one of my favourite patients. She was a kind , compassionate person who never failed to ask how I was despite being in such turmoil herself. Such a wonderful person. I know that she is no longer suffering. Take comfort in your wonderful memories of your mother. Daniela, louie, Tony, we are deeply saden by your Moms passing.